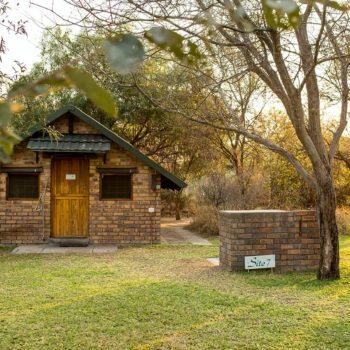 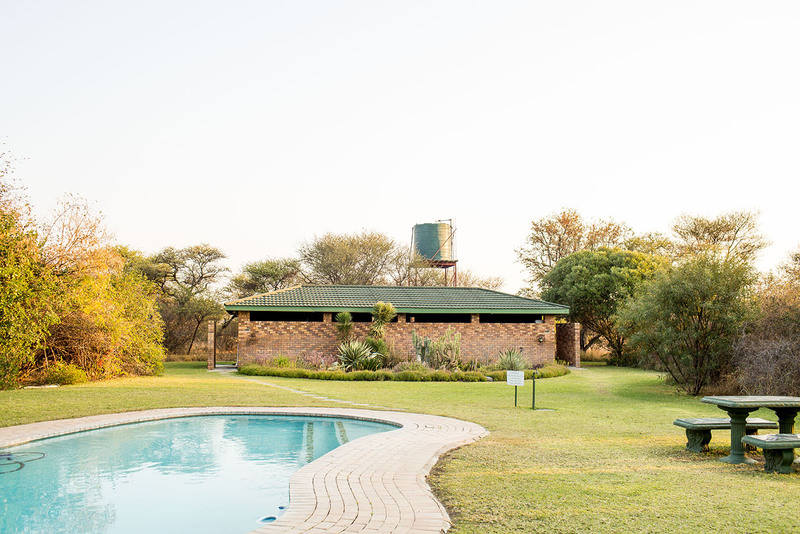 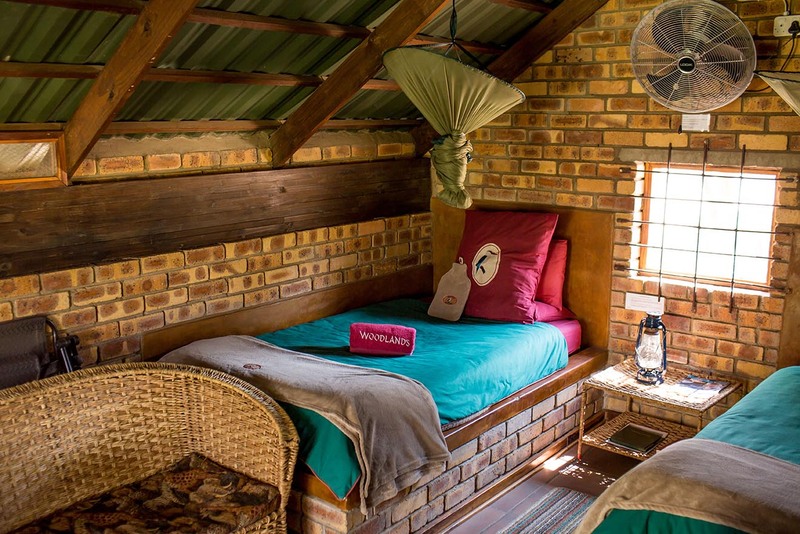 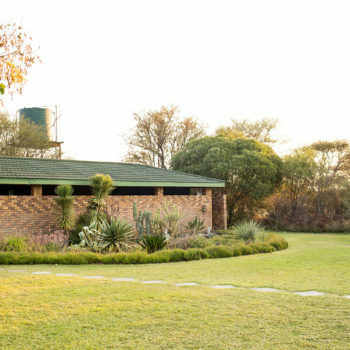 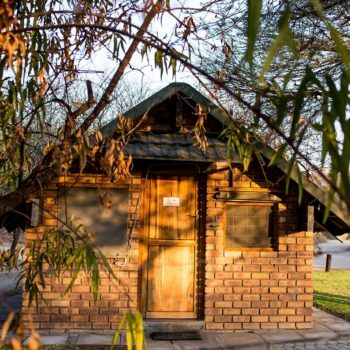 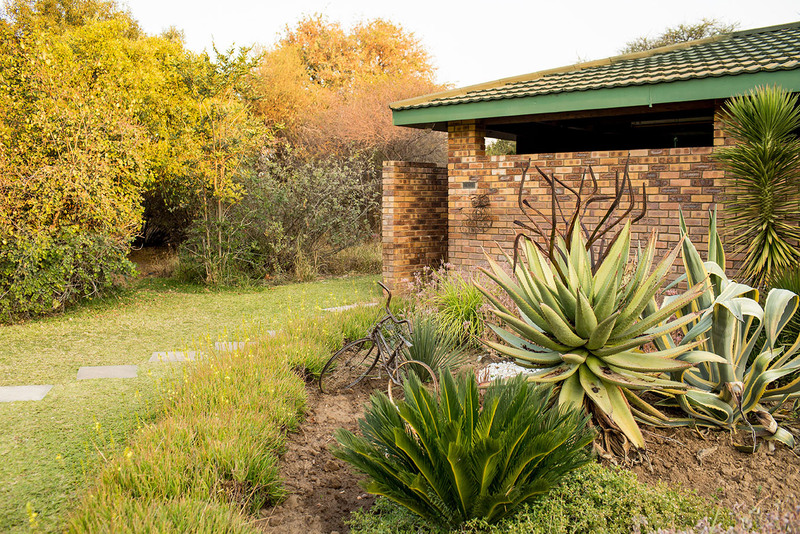 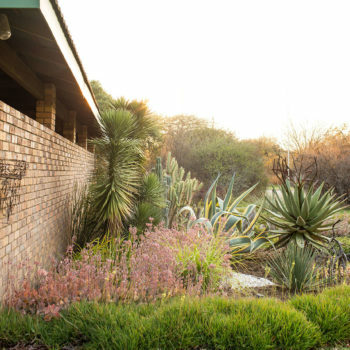 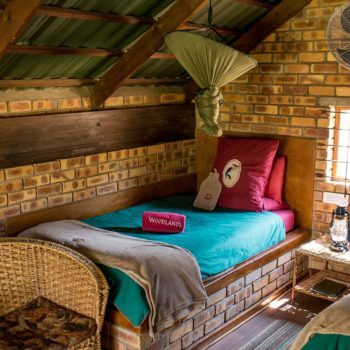 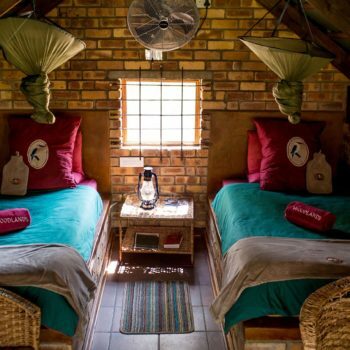 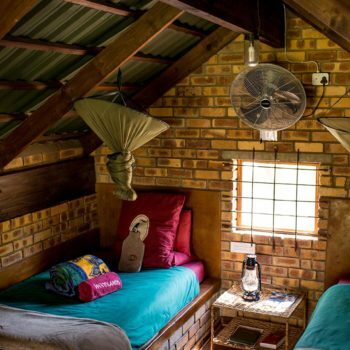 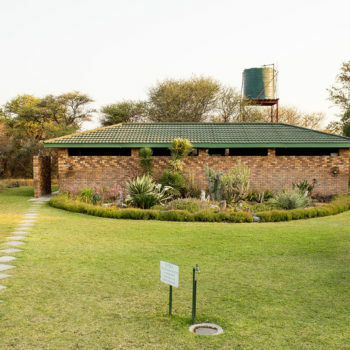 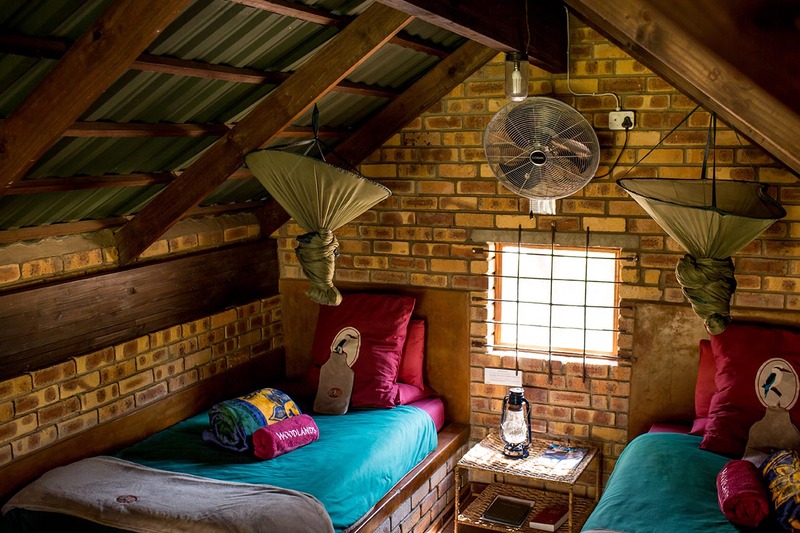 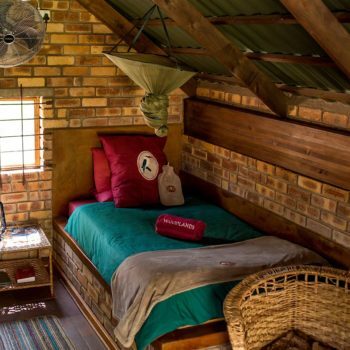 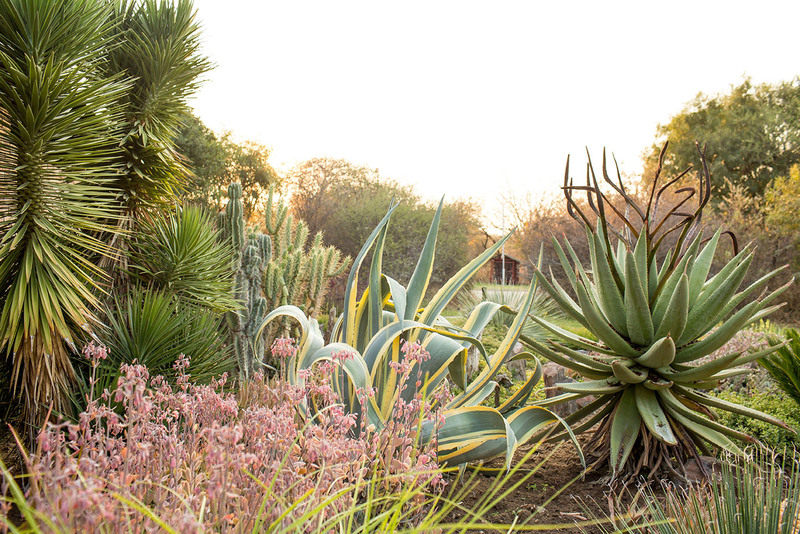 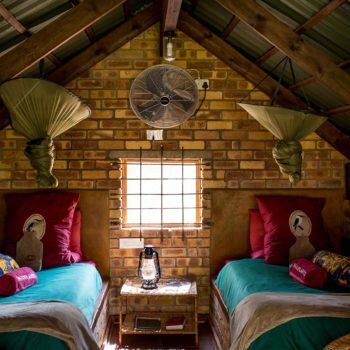 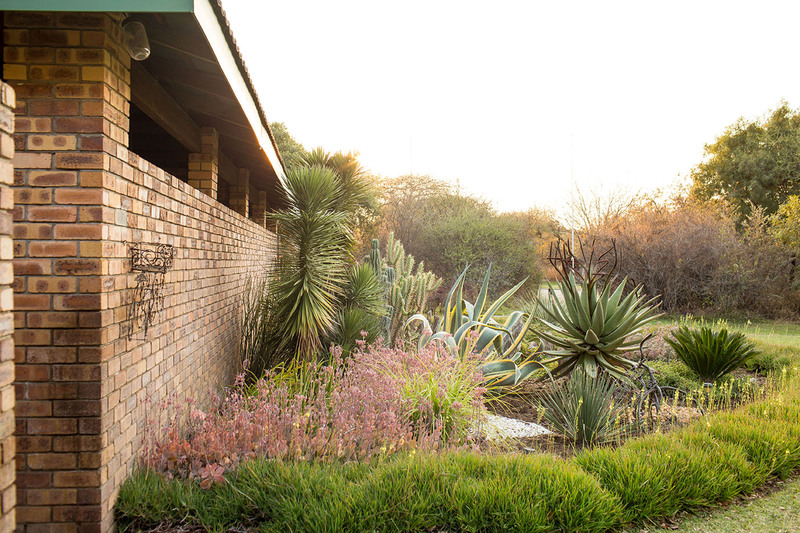 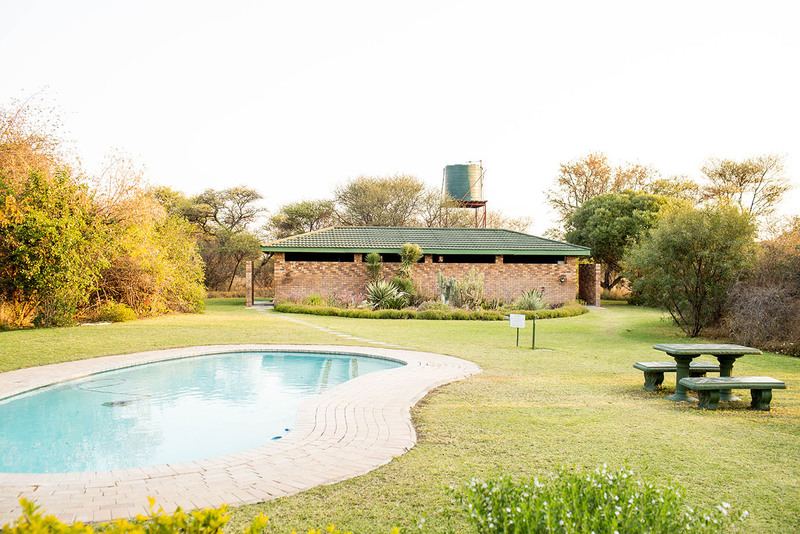 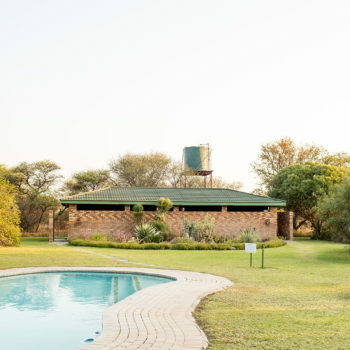 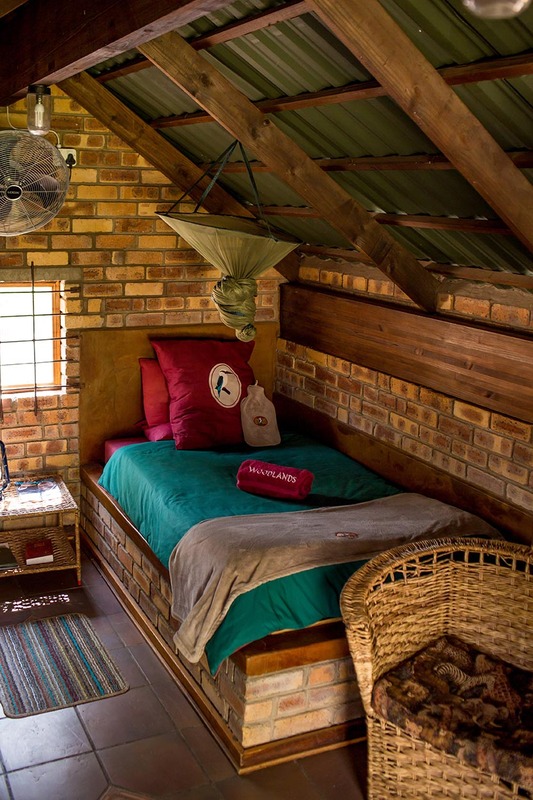 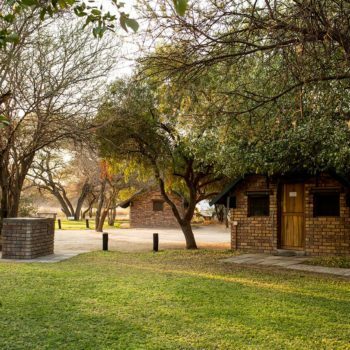 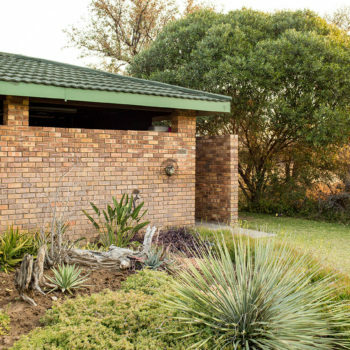 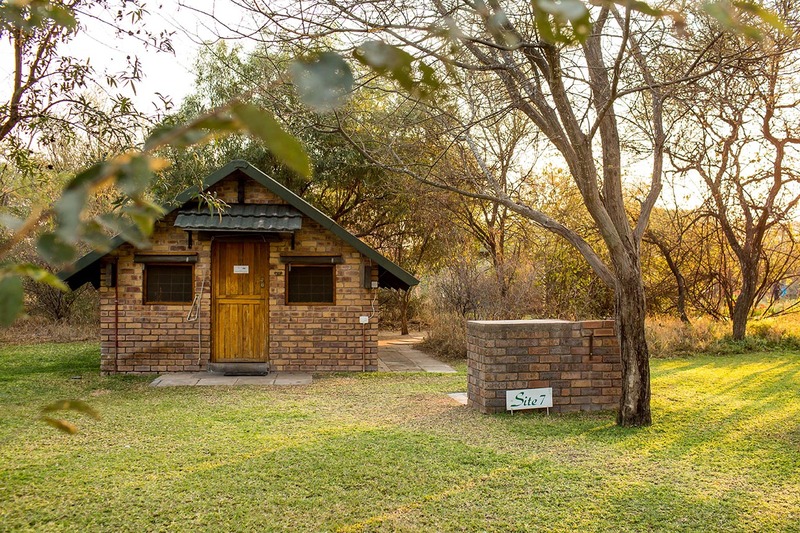 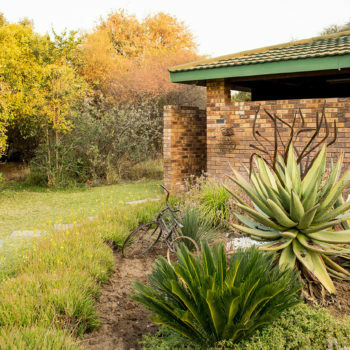 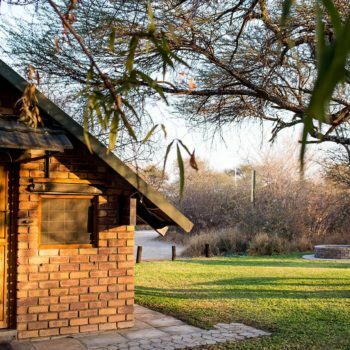 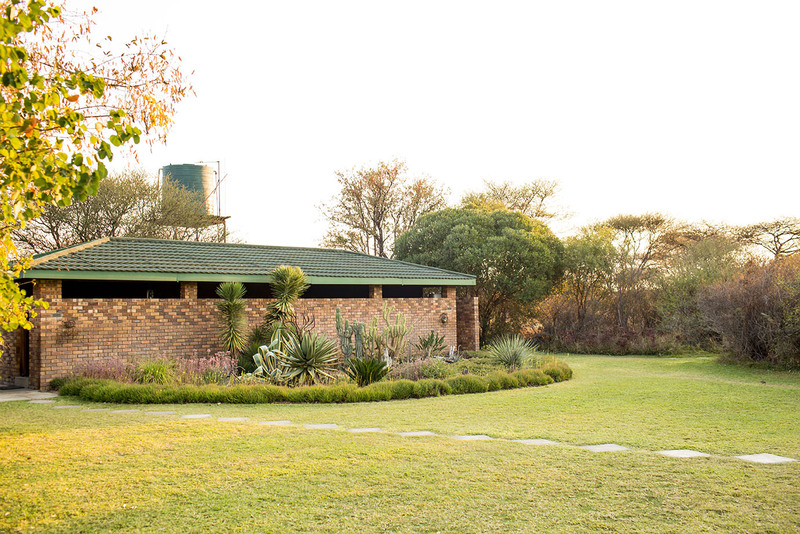 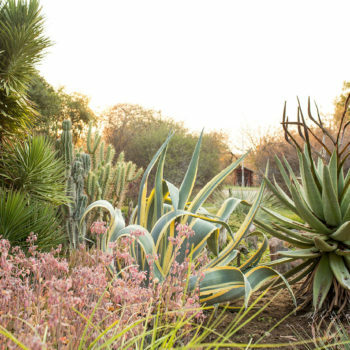 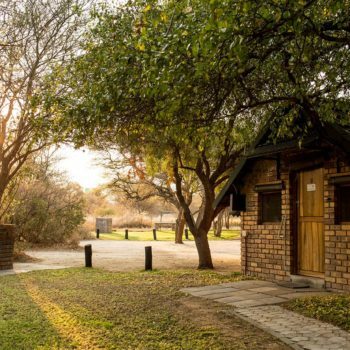 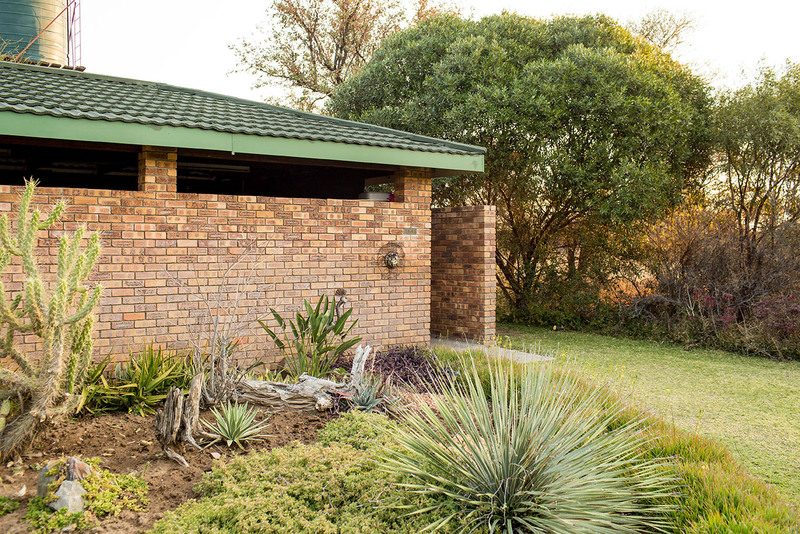 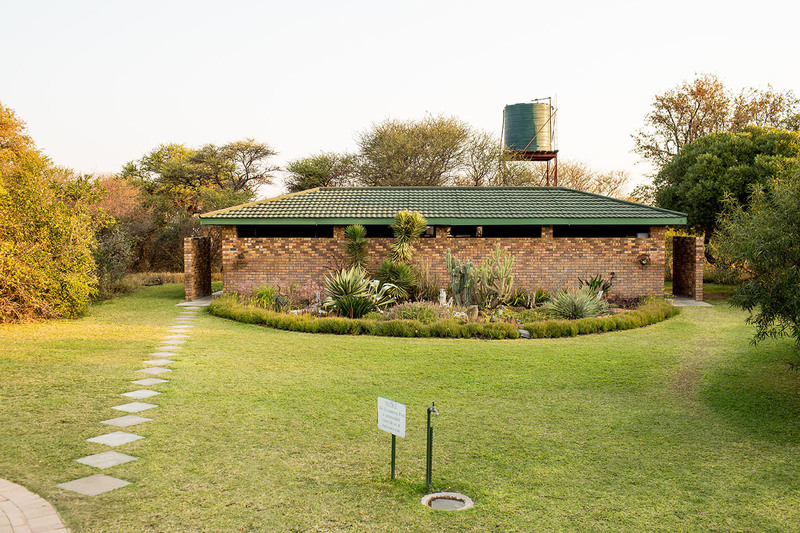 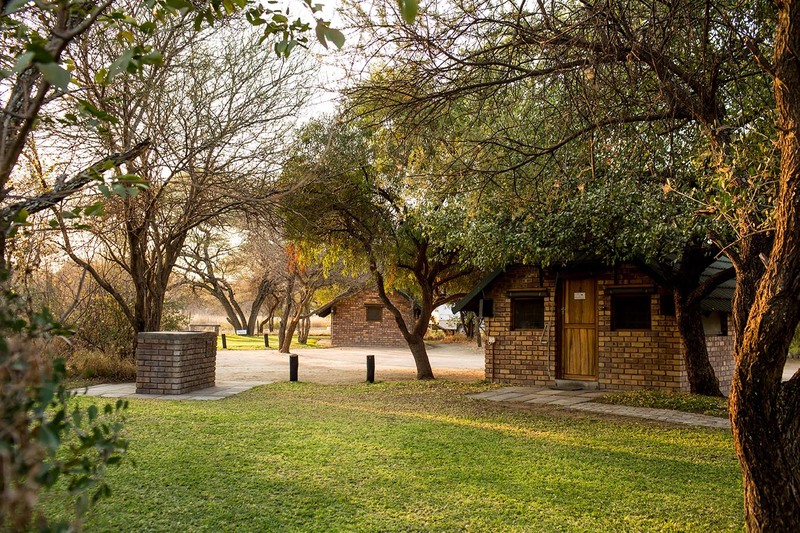 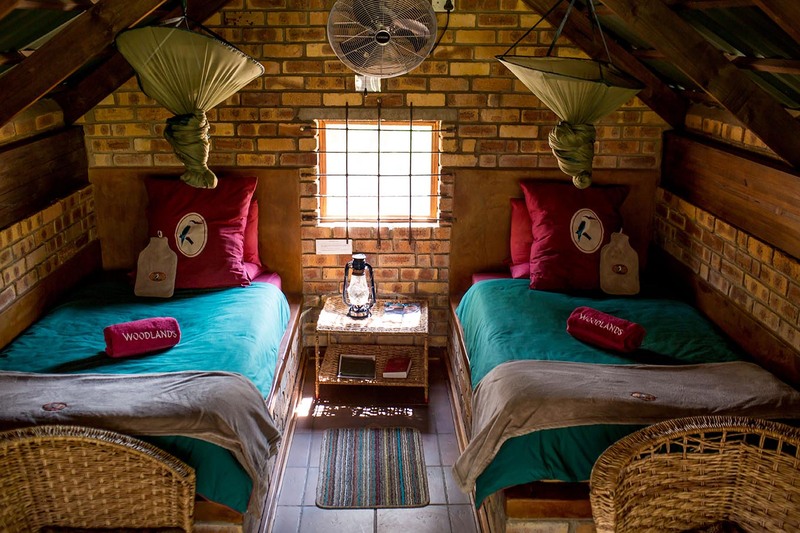 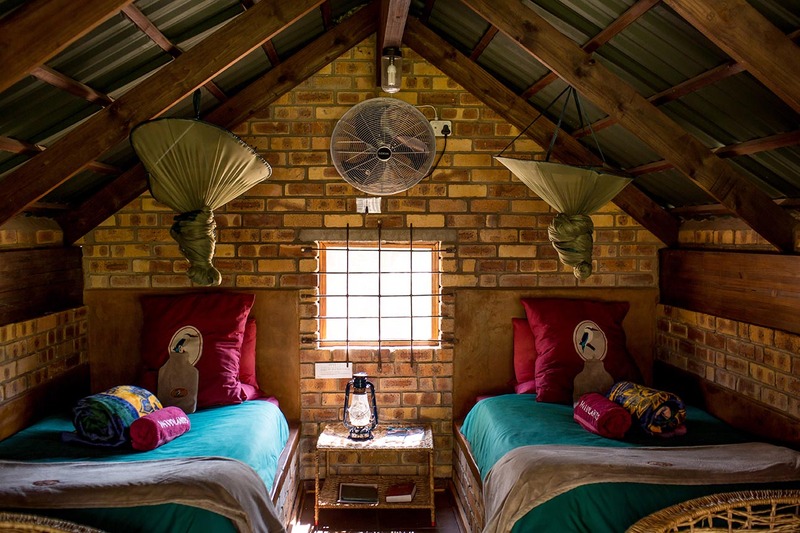 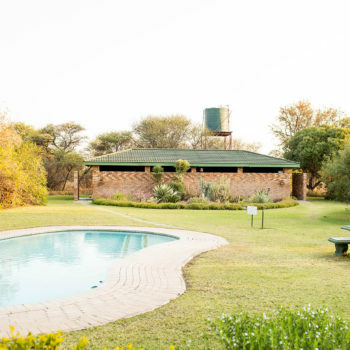 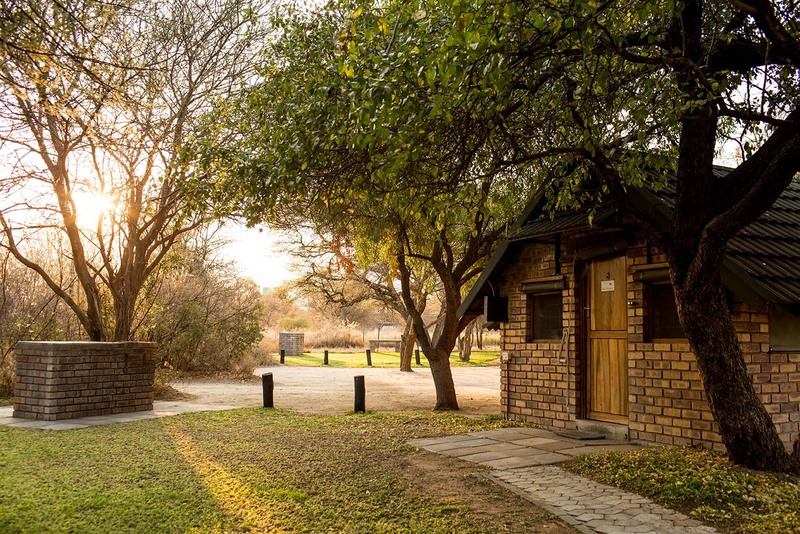 Come sleep soundly in our cozy, tiled chalets with authentic African cane furniture and 3/4 size beds, each with its own electrical supply and a tea/coffee facility. 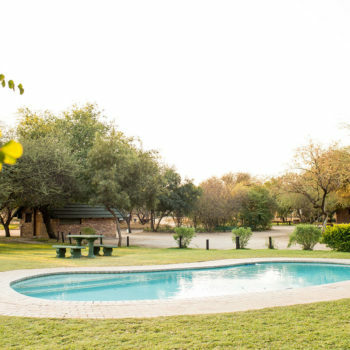 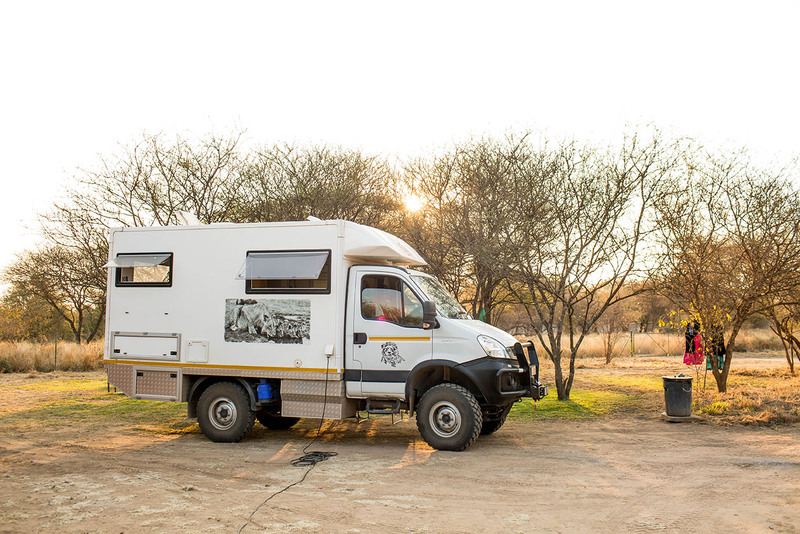 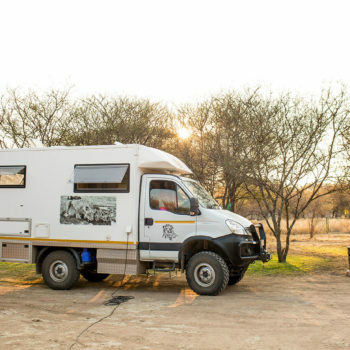 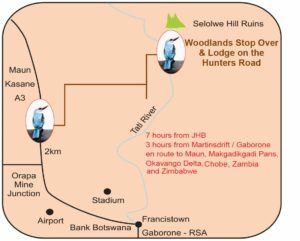 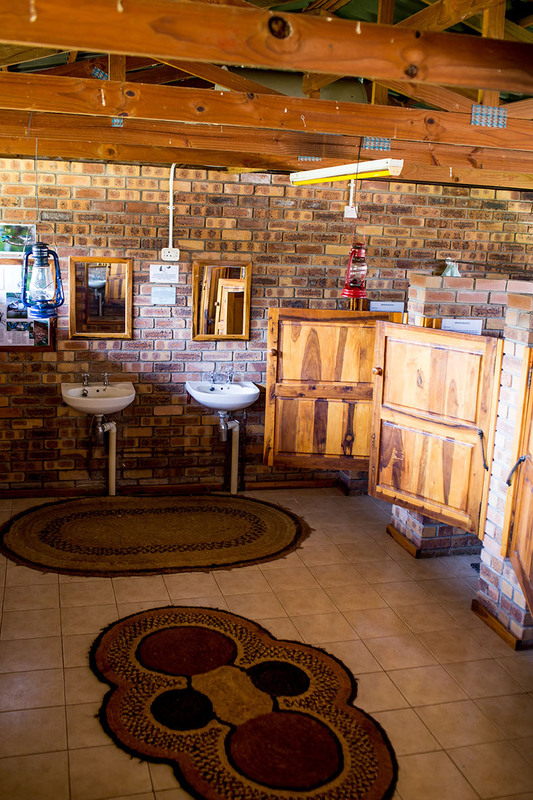 They do not have any self-catering facilities other than their own private braai area. 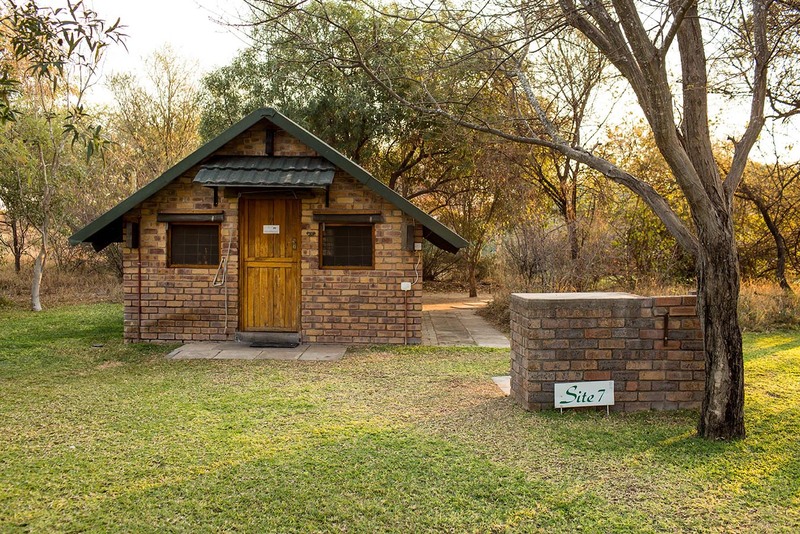 Pre-prepared, “Mike’s Meals”, are available from reception where they are heated for you and cutlery and crockery provided for your use in the chalet. 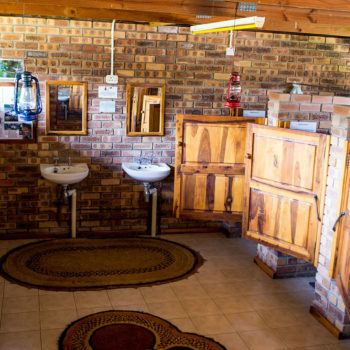 These rooms do not have en-suite facilities. 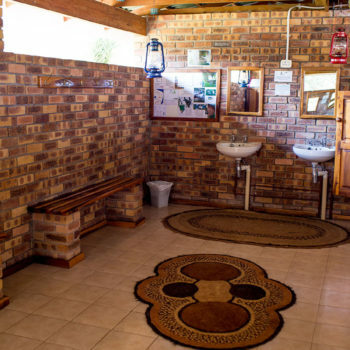 You would make use of the immaculately clean shared ablution facility. 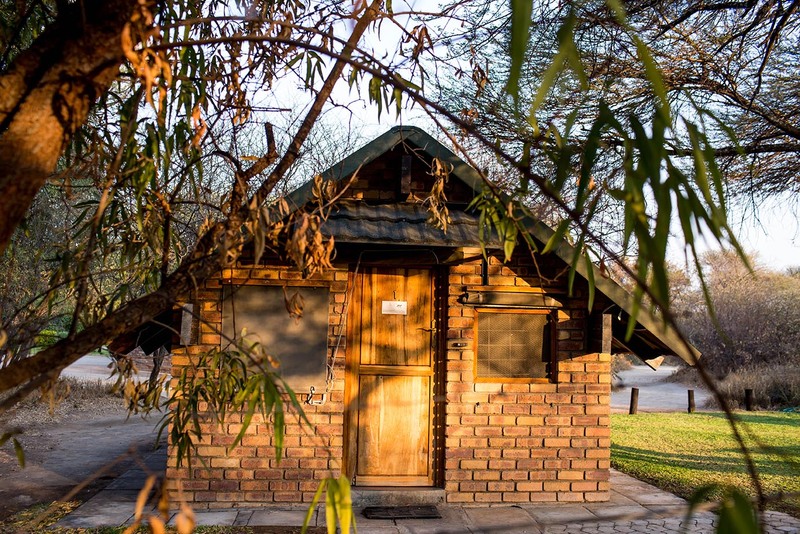 Parking is adjacent to your chalet for your convenience. 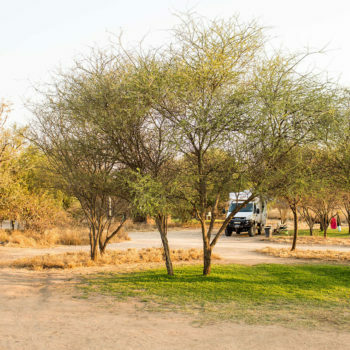 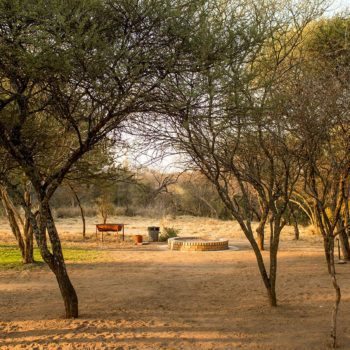 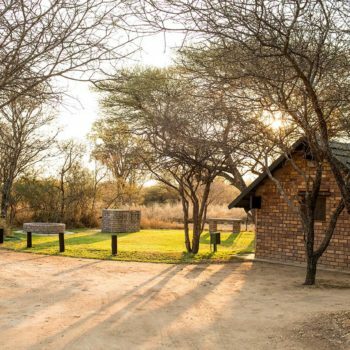 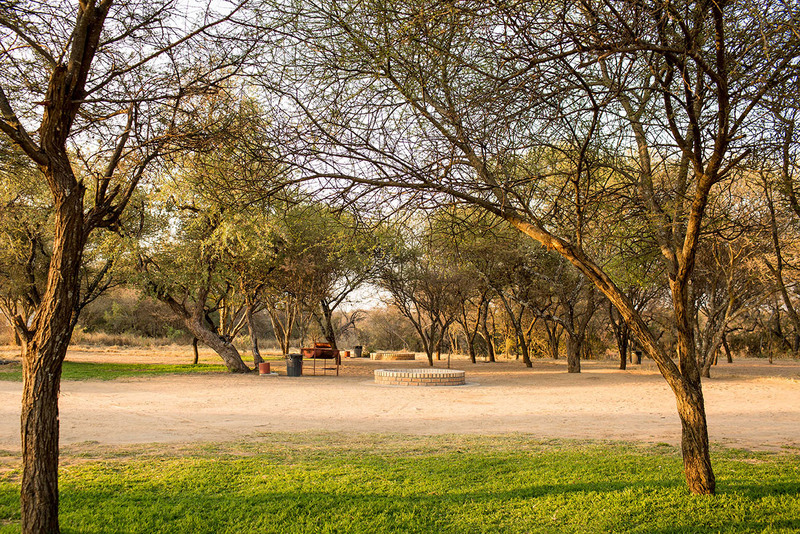 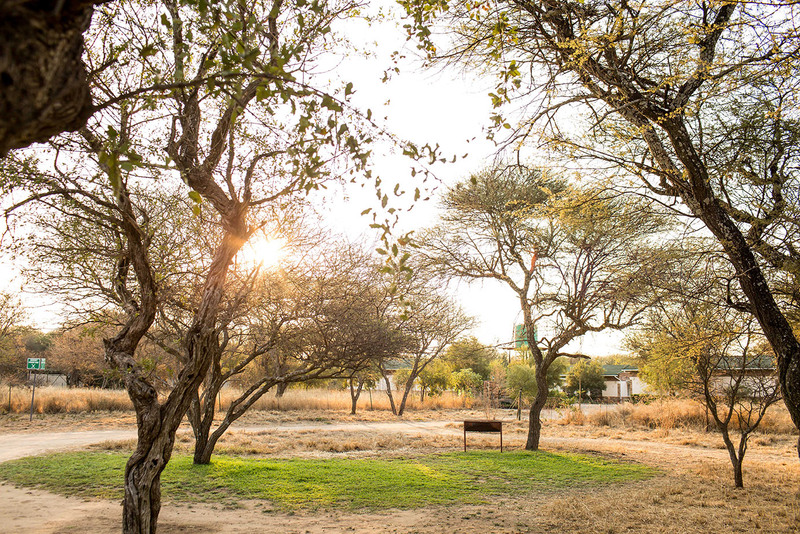 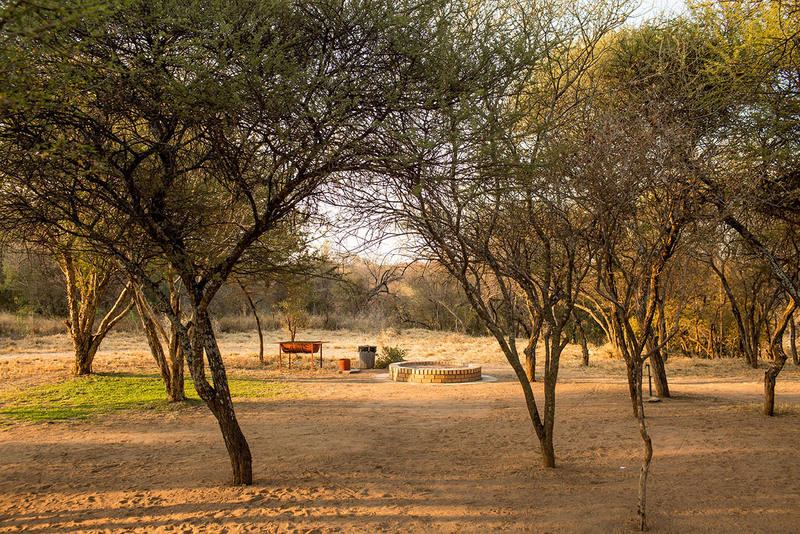 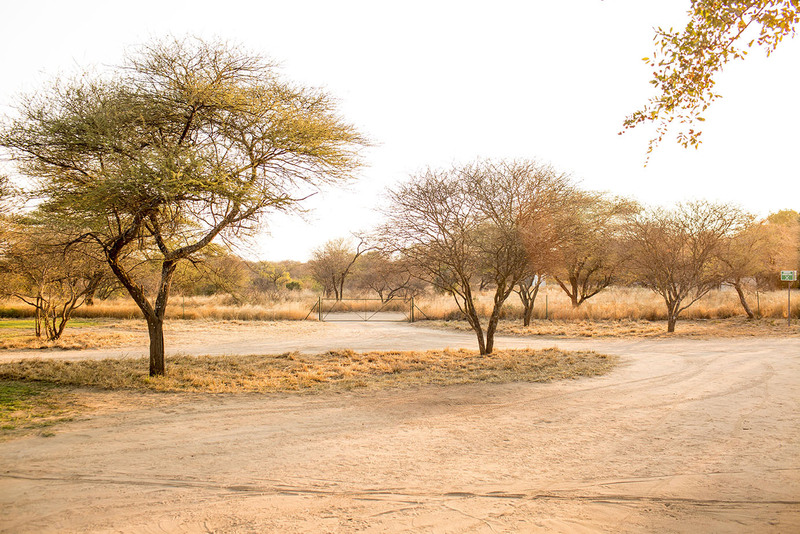 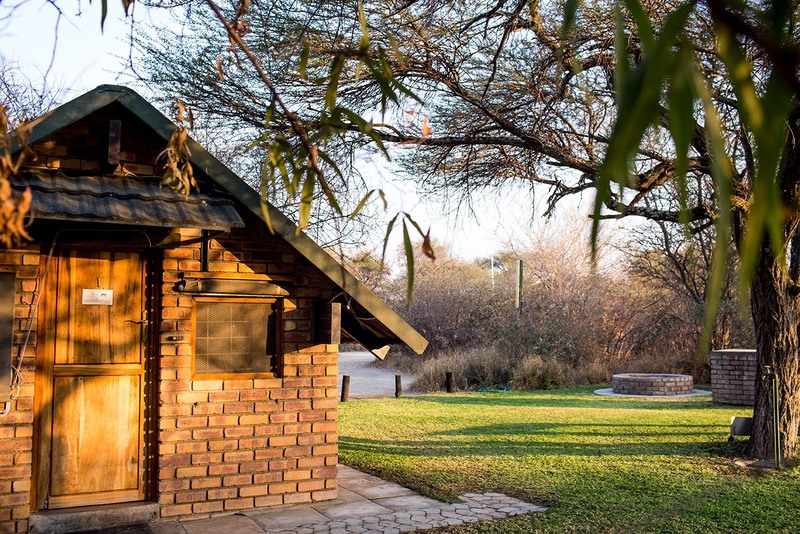 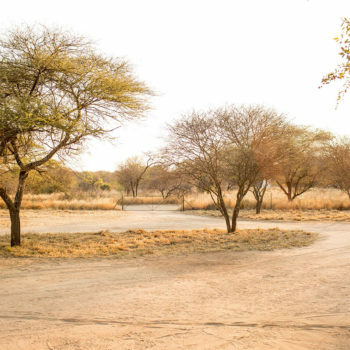 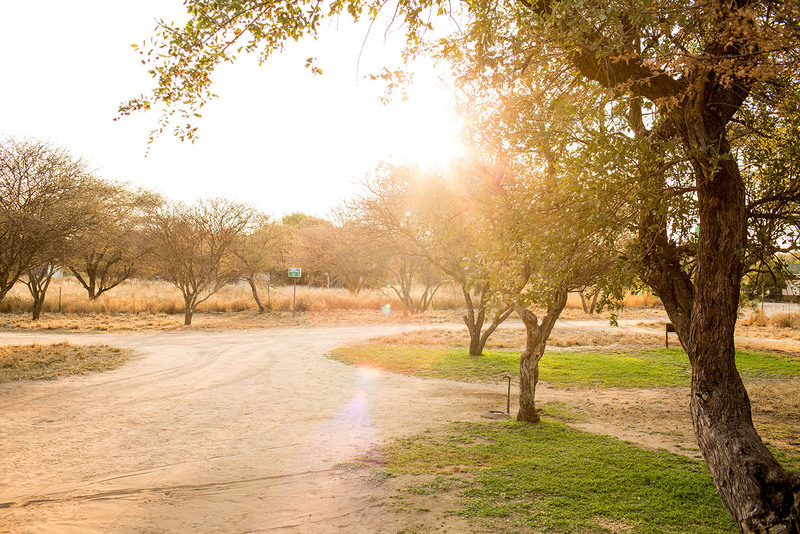 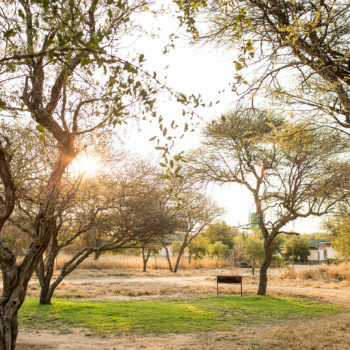 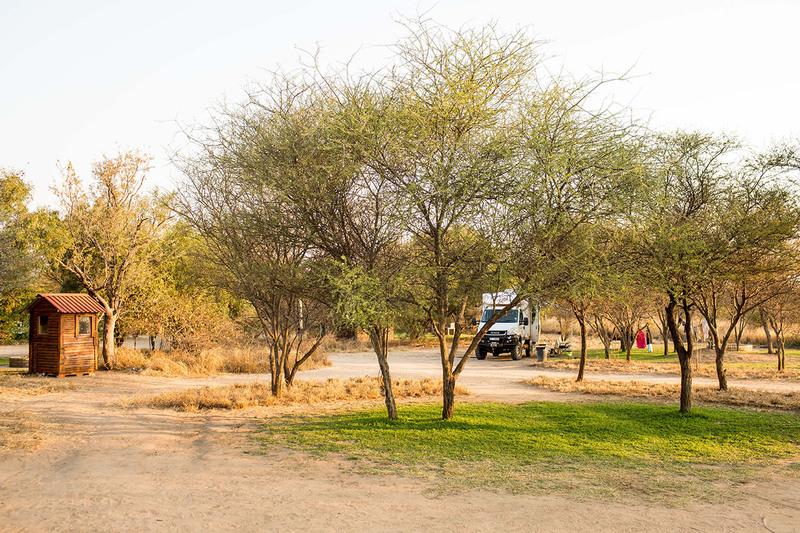 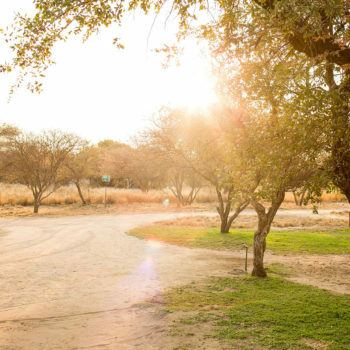 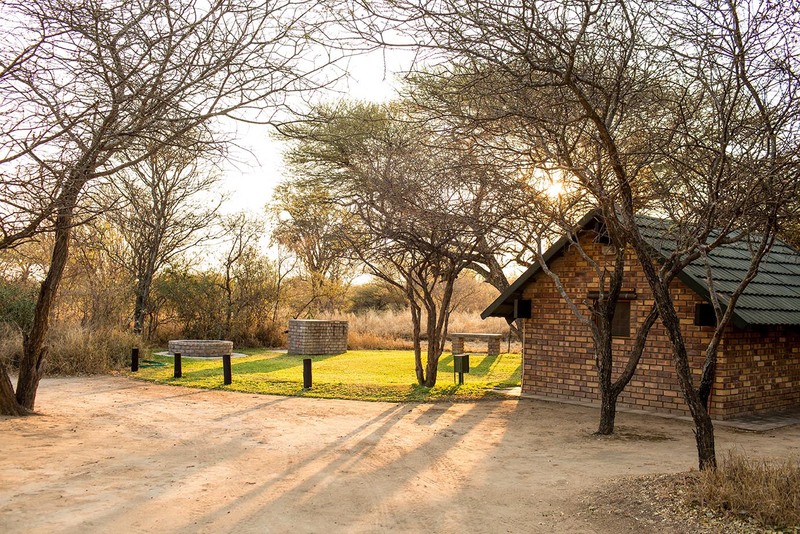 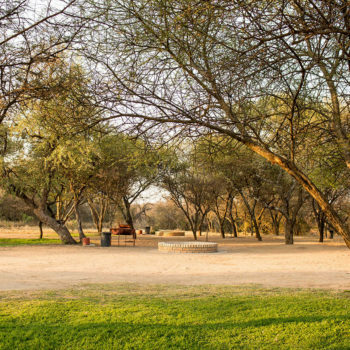 GRASSED INDIVIDUAL CAMPSITES, each with their own braai areas. 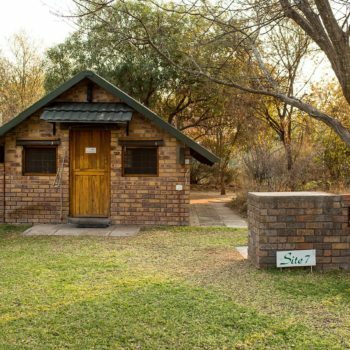 Water and electrical points are also available on some sites. 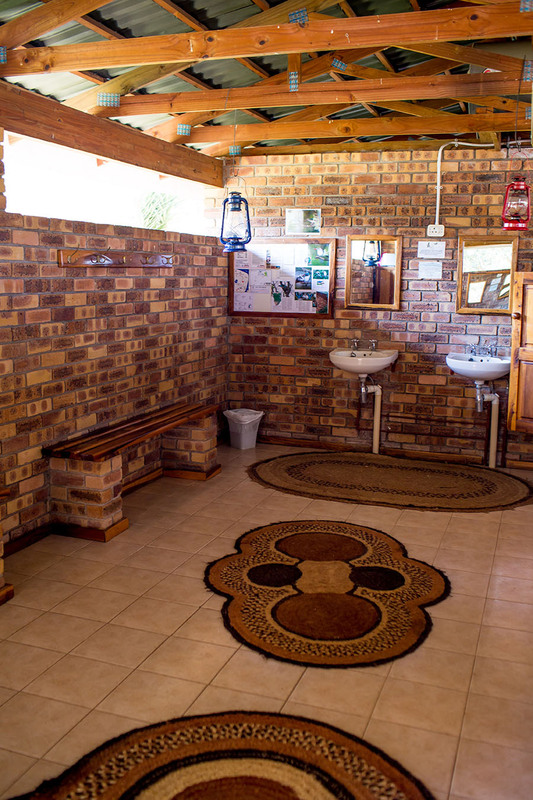 Enjoy hot showers in our spacious tiled ablution block. 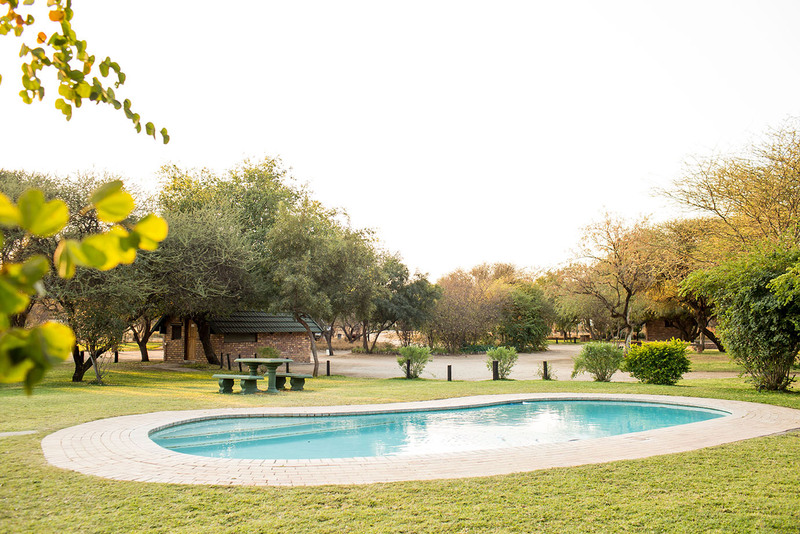 Sparkling swimming pool for residents use only.